12.5" RCOS @ ~f/9 (2880 mm fl) 0.643 arcsec / pixel. Shown resampled to 0.86 arcsec / pixel. CCDStack to register, normalize, data reject & combine sub frames. PhotoShop for the color combine, non-linear stretching and sharpening. 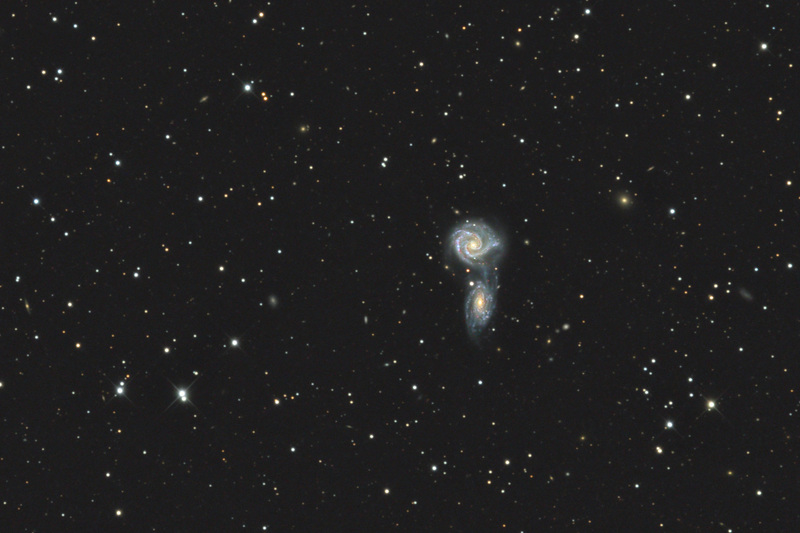 These two galaxies, known collectively as Arp 271, are about 90 million light years away, in the constellation of Virgo. 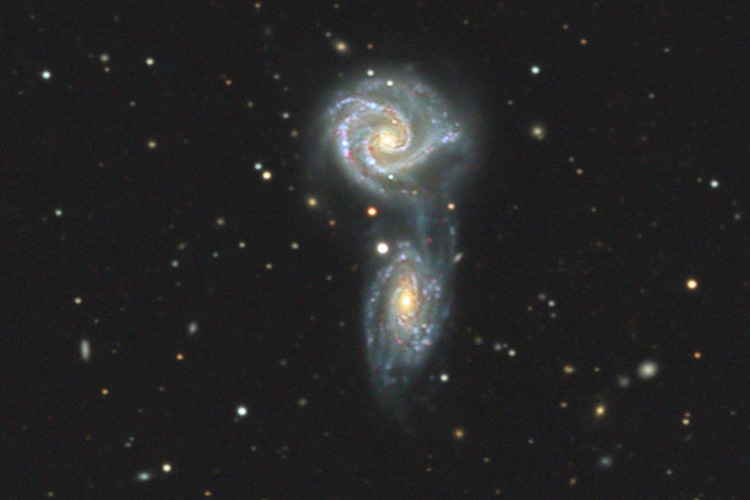 Between the two galaxies, a bridge of exchanging material can be seen. Also, some of the many HII regions, in both galaxies, are visible. This is probably a good representation of the future collision of our Milky Way and the Andromeda galaxy. It is unlikely that mankind will be affected by this collision... five million years from now.